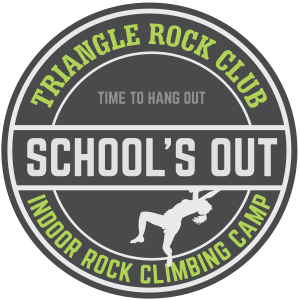 CLIMB WITH TRIANGLE ROCK CLUB. Out of school for a day or two and searching for something different for your kids to do? Look no further than Triangle Rock Club! Our School Holiday Camps combine lots of climbing with games and basic climbing safety in a full-day program. Join us on the occasional Teacher Work Day or School holiday for a day filled with adventure! Interested in signing up for a single day of School Holiday Camp taking place during a multi-day offering? Please call Programs Manager Kelsey at 804-215-3200 ext. 404 to set up your booking and payment.